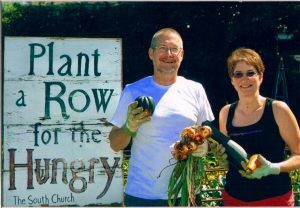 When Reverend Rick Kesler arrived at the South Church in 2008, the labor that had begun a church garden 10 years prior was wilting. 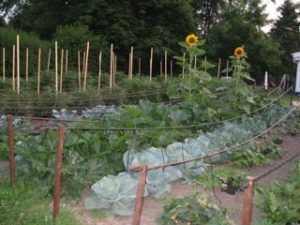 In 2009, Kesler was put in charge of the garden. Today it’s strong and growing – and feeding hundreds of neighbors. The South Church in Mount Prospect has a plot on church property that’s roughly 50 feet by 60 feet large. There are 20 rows available that grow up to 15 different vegetables. An engineering neighbor designed and installed a novel rainwater collection and watering system that runs on solar power, cutting down on the stress of watering. Kesler keeps track of every vegetable harvested weekly. The record was 1500 pounds harvested. Then they broke 1 ton – 2100 pounds harvested. In 2014, due to perfect weather, the South Church harvested 2450 pounds of produce. 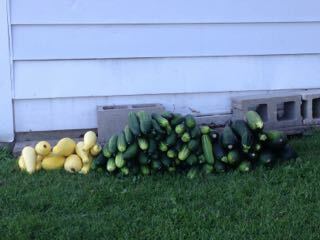 The 2015 harvest yielded 800 pounds of tomatoes, 550 pounds of zucchini, and 350 pounds of cucumber. 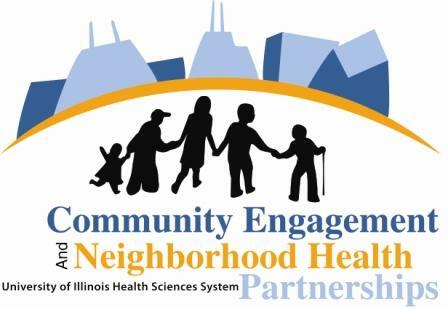 The South Church became known in the community for its garden within the Mount Prospect Interfaith Council, made up of clergy from local churches, temples and synagogues, and that visibility opened up new relationships in the community that helped serve more people. The Interfaith Council also includes the mayor, police, fire, and city officials from the Human Services department. Through the Council, representatives from the city’s human services department approached Kesler to request sharing the produce with the food pantry at a new community center a year after it opened in 2012, and a subsidized housing Senior Center in town. Intergenerational relationships and bonding take place in the garden itself. Volunteers work in the garden on Wednesday and Sunday evenings from mid-May to mid-September. Anyone is welcome to help. At first, Kesler was challenged that not more of the actual church members volunteered in the garden. He began with a few volunteers and the volunteer labor of 8 different Girl Scout troops who use the church for gatherings. But then the community started turning out to volunteer. “I’ve met so many people who have walked by the garden and stopped to ask questions, either about the vegetables or the watering mechanism. They believed in the project and wanted to help. They can bring their children over, help, and then bring them to the pantry to see the effect. It has become a vehicle for people to give back and see the fruits of their labors – or to teach good works to their children.” This last year the crew was joined by the same representatives from the Human Services Department who initially asked for a share of the produce. 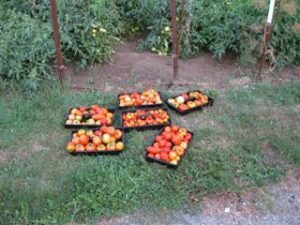 Three years ago Kesler queried partners on what produce was preferred at the pantries, and started tailoring their plantings to consumer demand. Eating habits have improved, also. Kesler says some people comment that they eat better to appreciate the quality of the garden produce. They would also like to offer cooking courses to recipients on how to cook the produce from the garden. South Church’s efforts led to a grant from their denomination, the American Baptist Churches, to fight poverty. 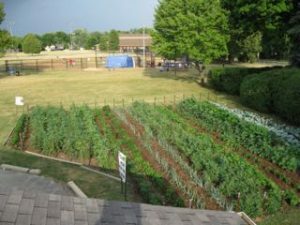 One of their goals is to build raised beds for elderly members of the congregation to get engaged, as well as adding cold-frames to extend the growing season.